A video project documenting some improvisational movement in the urban weeds garden created by Daniel Wirtheim and featuring EPA Agents andrea haenggi, Catherine Grau and Christopher Kennedy. This month’s collective weed improvisation jam explored urban soil as a platform for movement research and weedy agency. Special guest Moira Williams shared a little bit about her practice and reflected on a past project called DIRT Shirt/EXCHANGE where Williams germinated Hairy Vetch seeds in her armpit as a means to address contaminated soil in a Brownfield site in Brooklyn. Moira guided us through a collaborative score to embody what it means to be soil, to be in soil, and to make soil. We explored the urban weeds garden and dug a hole to investigate the soil’s texture and quality. The event ended with an open movement jam. Nick Mirzoeff’s Media and Environment students from NYU visited the EPA this week. Together we explored embodied mapping strategies to better understand our relationship to urban weeds and multispecies entanglements! Shown above is a full body transect to begin measuring the amount of impervious surface area in the garden. The EPA was recently featured in Issue 5 of Culture Push’s online journal Push/Pull edited by Linnea Ryshke! In our piece, “Maintenance as Care at the Environmental Performance Agency”, EPA Agent’s Andrea Haenggi, Christopher Kennedy, Catherine Grau and Ellie Irons explore the politics of pest management and rat-human relations at our urban weeds garden in Crown Heights, Brooklyn. What the plants have to tell me in Berlin? What happens when I’m (andrea) not in Crown Heights in NYC but in Berlin and encounter the wild urban plants here in Berlin? Is there something else they have to tell me? I’m encounter in Berlin locations where in the past historical violence happened such as second world war and the Berlin wall. I have a kinesthetic movement score to find out what the plants have to tell me. I create name tags that describes my findings. I leave the name tags in the locations. Do I take through this naming the plant out of its European Classification? Can through embodied scientific practice we decolonize science. Is this encounter a philosophical approach? Does the plants gets out of its state of characteristic and into the state of philosophy? Does the plant has more agency by being in a philosophical state? How much history is embedded in the soil of a place and how much it reflects on the plant knowledge? 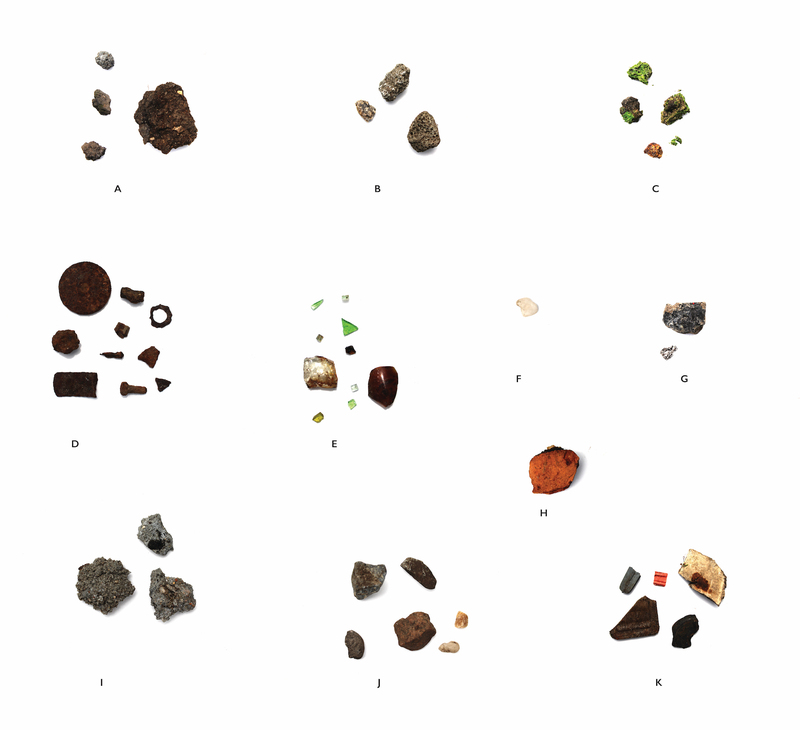 An initial survey of some endangered anthropocenic surfaces and materials found in the EPA’s urban weeds garden.